Catalonia won't be able to exist as an independent state, Dr. Ferran Brunet, research fellow with the Autonomous University of Barcelona said, commenting on possible economic implications for the region after gaining independence. The expert is confident that the secession "won't happen on October 1, nor two days later, nor afterwards" as it would lead to a drastic economic collapse. According to Brunet, the struggle for independence itself and the mobilization of citizens have already brought economic losses to Catalonia. In particular, he refers to the PDeCat party (Catalan European Democratic Party), whose main goal "was to turn thousands of Catalans into fighters for independence" and squeeze Catalonia's residents for whatever money they have left. However, economists advocating for independence adhere to a different point of view. For instance, economic expert Dr. Modest Guinjoan believes that the current economic deficit in Catalonia arose from the difference between what the region gives to the state and what it receives in return. According to the analyst, this difference amounts to about 16 billion euros since 2001. His point of view is being supported by a number of other leading economic experts whose opinions are available in the book "Economics of Catalonia" (Economia de Catalunya). Guinjoan argued that independence will create up to 71,000 new jobs to meet the needs of new government structures and their administration. However, Brunet, on the contrary, believes that "people will be much poorer" and "16 percent of Catalans will lose their jobs." The current deficit in Catalonia's social sphere will increase by 2.8 million euros, and the pension coefficient will decrease from 1.7 to 1.5, Brunet stated. At the same time, all experts are united in their opinion that an independent Catalonian currency would be economically unviable and indicate that the European integration is essential of its survival. Many analysts believe that Europe will be interested in Catalonia and its companies being competitive. However, Brunet's calculations are far from this idealistic vision. According to the expert, in case of secession bilateral trade between an independent Catalonia and Spain would reduce by 20-60 percent. The region's GDP would fall by 14.2 percent. "Independent Catalonia will be located outside of Spain, outside the European Union and outside the eurozone. It won't be able to cover the deficit that will arise as a consequence of independence and will be forced to issue its own currency," Brunet said, warning that this new currency is likely to be 50 percent cheaper than the euro. In any case, everything indicates that the economy of independent Catalonia will depend not only on its fiscal policy, but also on the decisions of external players such as the European Union and Spain. Meanwhile, Spanish authorities are taking measures to prevent the vote. Spain's national civil aviation authority on Friday closed Barcelona's airspace for helicopters and light aircraft until October 2. The day before, Spain's Civil Guard seized 100 ballot boxes and 2.5 million ballots prepared for the Catalan independence referendum, which the Spanish government does not recognize. 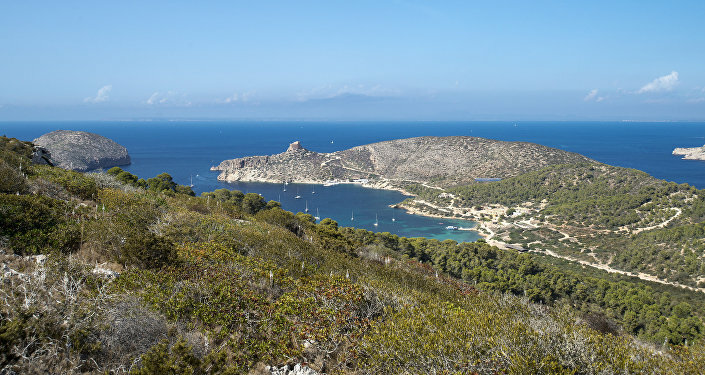 Following Catalonia's determination to hold the referendum, a similar initiative has been proposed by another Spanish region, the Balearic Islands. The move, if launched, is expected to be negative for Spain and other European nations.